Teddy Kim saw early potential in the Parker-Gray neighborhood. The Alexandria native had graduated from Virginia Tech University with a degree in urban planning when in 2004 he initiated the process to buy a house in the neighborhood that was for sale by owner. Kim, who was working in government contracting at the time and making about $30,000 a year, quickly ran into problems with securing financing. 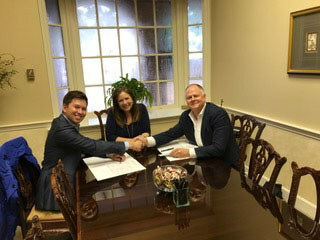 After his initial lender fell through, he turned to local mortgage broker Clay Greenway. The process of buying the house, in the end, took months, but it piqued a lasting interest for Kim in real estate. Kim set his sights on the former Electro Steam Generator Corp. building at 1000 Bernard St. He transformed it into office space and, in the process, found a passion for redeveloping commercial buildings. Kim used some of the building’s existing features in the renovation and pulled design inspiration from his own background, including his grandfather’s Naval history. For example, on the building’s exterior he used metal in a gray reminiscent of Navy Destroyers and nautical elements like cable and natural wood for finishing touches. several commercial properties in Alexandria, including multi-use space Madison Collective, which signed tenants tattoo studio Marlowe Ink and the soon-to-open Chop Shop Taco, Zweet Sport and Grateful Kitchen Co., at 727 N. Henry St.
Kim is also involved with a number of restaurant projects. Along with Chad Sparrow, Justin Sparrow and Larry Walston, Kim was part of the founding team at Mason Social, which opened in 2015. He’s since left that restaurant, but recently worked with another team to open quick service restaurant and bar The People’s Drug in the former Bittersweet Catering location. His strategy is infill development, or developing vacant properties within already highly developed areas. He’s had extra incentive to redevelop Alexandria, where he has a vested interest. Kim was born and raised in the city, and opted to return after college to build a career. It’s where he plans to continue to invest. Kim was raised in Alexandria during a time when the city wasn’t necessarily a hot real estate market. He grew up with his grandparents near Fort Ward Park in the 1980s and has memories of playing with neighborhood friends until the sun set. Meanwhile, the area hadn’t hit its stride just yet. He attended several local schools, starting with what’s now the Basilica School of St. Mary’s and then moving to Alexandria City Public Schools, including Douglas MacArthur Elementary School, George Washington Middle School, Minnie Howard and, finally, T.C. Williams, from which he graduated. As a student at T.C., Kim studied computer science and even worked at Electro Steam Generator Corp., the building he would go on to buy, for a time. Kim initially wanted to be an architect, but an advisor at T.C. convinced him to pursue computer science instead. He headed to Virginia Tech with the intention of studying that, but didn’t engage with the classes or material. He made the switch to urban planning, which he said married his creative and analytical side. After graduating from Virginia Tech, Kim moved back to his hometown during a time when the region was doing well economically. “I started to see D.C. picking up. … A lot of the principles I was learning [while studying urban planning] dealt with things like revitalizing the waterfront. I could see stuff like that happening, so it was really exciting. I decided to stay here,” Kim said. He learned about real estate by researching on the internet and turning to Greenway for mentoring and advice. Since helping him buy his house on Pendleton Street, Greenway has watched Kim grow. worked, what the process was,” Greenway said. All these years later, Greenway said he isn’t surprised that Kim has successfully built a real estate portfolio of his own. Many of Kim’s biggest real estate opportunities have come together as a result of long-running relationships and a lot of persistence. Mason Social came about in that way, over frequent conversations with the owner of 728 N. Henry St. Kim had seen the building – which had long hosted frequent T.C. haunt Esmeralda – become vacant, and saw potential for a neighborhood spot. Once he got in contact with the building’s colorful proprietor, he would visit him at 700 S. Patrick St. frequently – sometimes twice a week – and talk to him about his life, never hesitating to ask about the building at the end of the conversation. Kim exited that partnership when he decided to focus on quick service restaurant models, a category into which the recently opened People’s Drug fits. That project was also done with old friends, Seth McClelland and Ian McGrath. Kim, McClelland and McGrath brought those memories and the Americana trend to The People’s Drug, which features American-inspired sandwiches and cocktails. Kim said the space, which is less than 1,000 square feet, perfectly houses the concept. 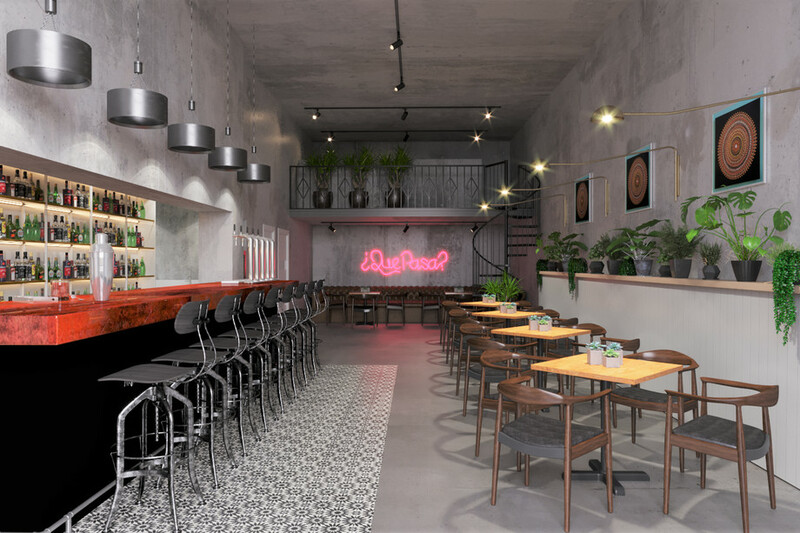 Chop Shop Taco, which will open as part of Madison Collective on Henry Street, will fit into the same model as The People’s Drug. It’s being opened in collaboration with Kim’s college friend, Kris Garcia, and chef Ed McIntosh. The restaurant’s name pays homage to one of the building’s former occupants, a “chop shop” for stolen cars. That speaks to Kim’s strategy, which involves preserving and often enhancing a building’s historic features, while transforming it into something new. “We’re not going to hide much of the original structure – we’re going to honor it,” Kim said. Kim isn’t someone who holds on to a building just to hold on to it – he’s always thinking about profiting from the value he provides. “I’m always thinking about the value position I’m sitting at. In some instances, the value is capital. I’m trying to get to that place, but I’m not there yet. My value is the sweat poured into the transformation,” Kim said. Kim’s company, Avanti Holdings, is balancing multiple commercial projects, including the building the company is housed in at 1605 King St. The company, founded by Kim, Keinan Ashkenazi and Greg Salvaggio, started with a $2 million warehouse on Calvert Avenue that the three decided to go in on together. They decided to make their partnership official and incorporate the company, named after the main chairlift in Aspen and after the Italian word meaning “to move forward.” Ashkenazi called Kim the brains behind the real estate. At the moment, the company’s investments are focused within the city limits. Ashkenazi said that’s by design. Kim is motivated to focus on local investments both because he knows the city well and because he keeps seeing the potential that prompted him to return after college. Kim said the city is poised, more now than ever, to grow. Original article by Alexandria Times, Alexa Epitropoulos, July 19, 2018. 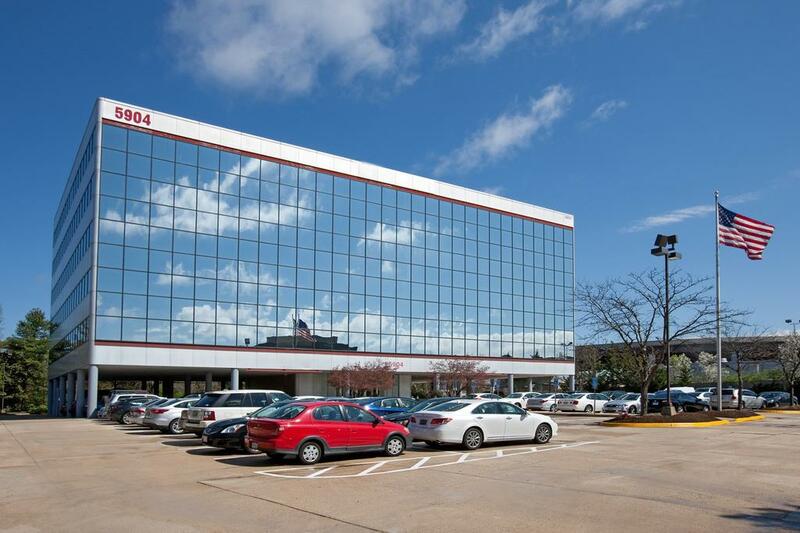 KLNB, a Maryland-based real estate brokerage firm, has announced the sale of 5904 Richmond Highway, a 78,000-square-foot office building in Fairfax County, for $8.3 million. Joshua Simon, principal at KLNB, represented the buyer — a joint venture of Rock Creek Property Group and Avanti Holdings Group, LLC — and has also been retained to handle leasing of the building. The property sold on Sept. 8 for nearly $106 per square foot. The structure is a newly renovated office building in Fairfax’s Huntington submarket with suites ranging from 1,800 to 15,780 square feet. The building has access to Route 1, Old Town Alexandria and National Harbor. It’s within walking distance to the Huntington Metro Station and Mount Vernon Trail. In a statement, Simon described the Huntington area as “an untapped submarket with great potential and high expected future density. 5904 Richmond Highway is currently 65 percent leased, with a remaining five office suites available. KLNB’s offices are located in Towson and Columbia, Md. ; Washington, D.C.; and Dulles and Tysons, Va. The high-rise office building located at 5904 Richmond Highway was sold in early September for $8.3 million, according to a press release from KLNB, the real estate firm that brokered the deal. The 78,000 square-foot building is now owned by Rock Creek Property Group and Avanti Holdings Group, LLC. The press release noted that the property had recently been renovated and was acquired for a “favorable price.” Fairfax County property records show the assessed value for 5904 Richmond Highway in 2016 was $13 million. Some of that anticipated growth includes a plan to greatly expand the adjacent Riverside Apartments complex. 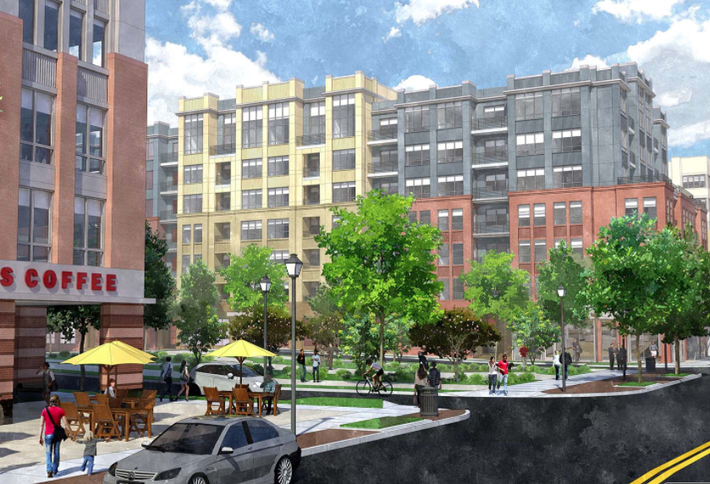 That proposal, which is scheduled to before the Fairfax County Planning Commission next week, calls for five new buildings with nearly 800 units to be added to the Riverside complex, which already contains more than 1,200 units in three buildings. 5904 Richmond Highway actually sits far off of Route 1, behind the Great American Steak & Buffet and Ourisman car dealership. Office space in the building ranges between 1,800 to 15,780 square feet, and the building is currently 65 percent leased, the KLNB release said. Among the businesses currently located there are Curb (formerly known as Taxi Magic). ALEXANDRIA, Va., Aug. 21, 2017 /PRNewswire/ — The Outdoor Power Equipment Institute (OPEI) announces the association has purchased a new headquarters building, and will move its offices to 1605 King Street, Alexandria, Va., in the spring of 2018. The new OPEI headquarters will include a state-of-the-art conference center that can seat 50 people for in-person and virtual meetings. This new space will enable OPEI members around the country and overseas to participate more fully in association business and activities. OPEI’s new King Street location is on the historic main thoroughfare in the bustling heart of Old Town Alexandria, and is within walking distance to several hotels. It is one block from the King Street Metro station, the second subway stop from Washington National Airport. It will also have private offices reserved for members when they visit the D.C. area. OPEI closed on its new location on Aug. 15, and the move represents a multi-million-dollar investment. 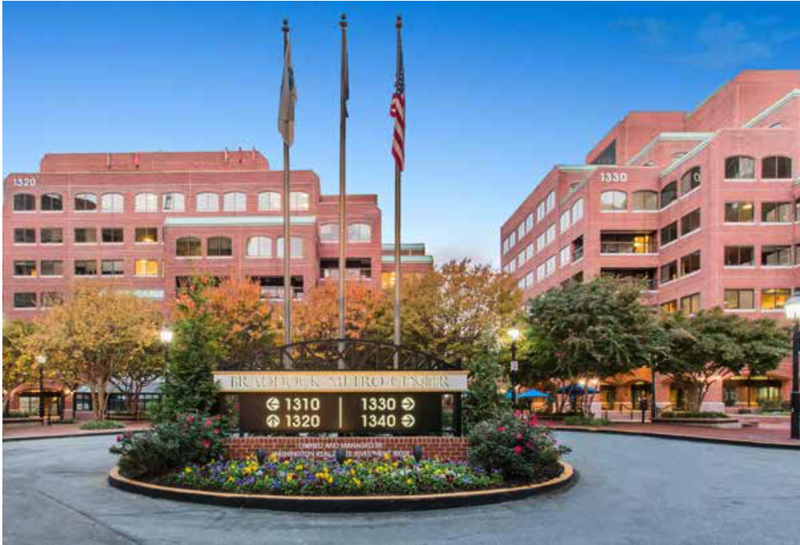 OPEI has retained OTJ Architects of Washington, D.C., for the project. “In 1987, OPEI’s board was prescient and chose to relocate from Washington, D.C., to Alexandria and built its current building. The current building met our needs for three decades and appreciated considerably. Our new building prepares us for future growth and engagement,” said Kiser. The Outdoor Power Equipment Institute (OPEI) is an international trade association representing more than 100 power equipment, engine and utility vehicle manufacturers and suppliers. OPEI is the advocacy voice of the industry, and a recognized Standards Development Organization for the American National Standards Institute (ANSI) and active internationally through the International Organization for Standardization (ISO) and the International Electrotechnical Commission (IEC) in the development of safety and performance standards. OPEI is managing partner of GIE+EXPO, the industry’s annual international trade show, and the creative force behind the environmental education program, TurfMutt.com. OPEI-Canada represents members on a host of issues, including recycling, emissions and other regulatory developments across the Canadian provinces. For more information, visit www.OPEI.org.